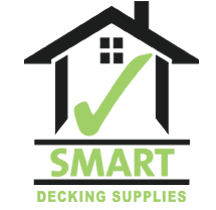 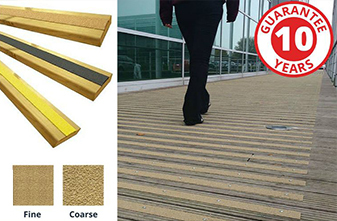 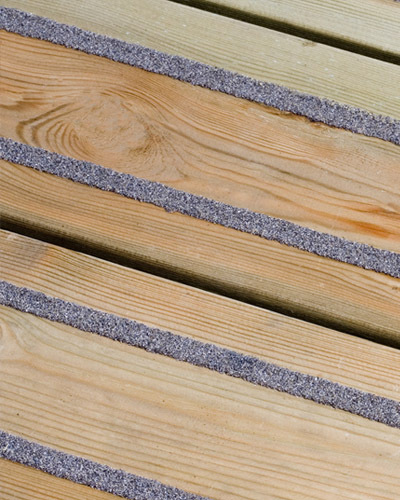 "Smart Decking Supplies offer a fantastic range of anti-slip accessories to complement your decking and ensure your safety." 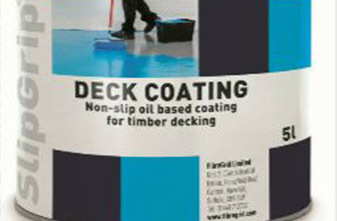 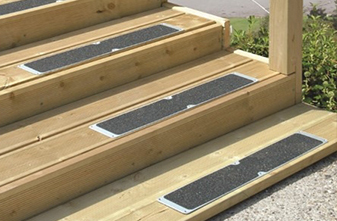 Our specialists are able to supply you with a variety of high quality non slip decking solutions including DeckWright anti-slip inserts. 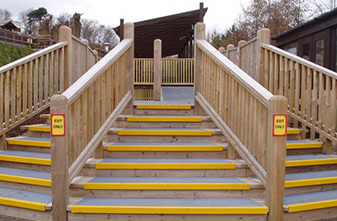 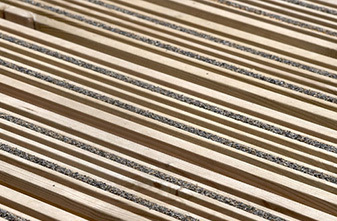 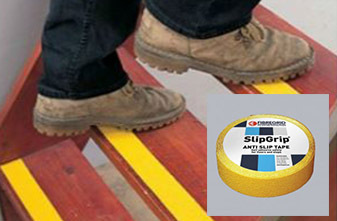 Ideal for both commercial and domestic applications and with a 5 year warranty, DeckWright anti-slip accessories add grip to all types of timber decking.